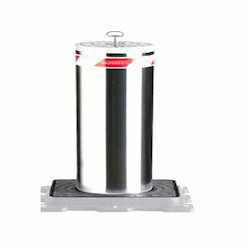 Our range of products include automatic rising hydraulic bollards and hydraulic bollard. Owing to our in-depth domain expertise, we are providing a qualitative range of Automatic Rising Hydraulic Bollards. The offered range is prepared as per international standards using the best quality components under the guidance of our vendors' expert team. •On request MASTER- SLAVE kit for connection in series of 2 or 2 groups of synchronized bollards. •Signalization LEDs blinking during the up and down movement of the bollard. •Traffic light for transit management (optional). 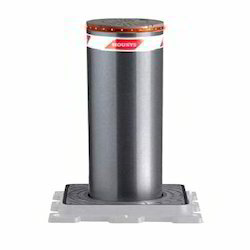 With rich industry experience and knowledge, we are offering a qualitative range of Hydraulic Bollard. Used where utmost safety & efficiency is required to restrict mainly vehicle entries. Electro-valve for the automatic drop into the case of power failure (ELV). On request MASTER- SLAVE kit for connection in series of 2 or 2 groups of synchronized bollards. Easy release system with a personalized key.